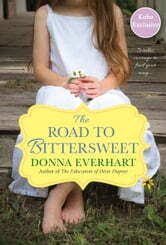 Set in the Carolinas in the 1940s, The Road to Bittersweet is a beautifully written, evocative account of a young woman reckoning not just with the unforgiving landscape, but with the rocky emotional terrain that leads from innocence to wisdom. For fourteen-year-old Wallis Ann Stamper and her family, life in the Appalachian Mountains is simple and satisfying, though not for the tenderhearted. While her older sister, Laci—a mute, musically gifted savant—is constantly watched over and protected, Wallis Ann is as practical and sturdy as her name. When the Tuckasegee River bursts its banks, forcing them to flee in the middle of the night, those qualities save her life. But though her family is eventually reunited, the tragedy opens Wallis Ann’s eyes to a world beyond the creek that’s borne their name for generations. Carrying what’s left of their possessions, the Stampers begin another perilous journey from their ruined home to the hill country of South Carolina. Wallis Ann’s blossoming friendship with Clayton, a high diving performer for a traveling show, sparks a new opportunity, and the family joins as a singing group. But Clayton’s attention to Laci drives a wedge between the two sisters. As jealousy and betrayal threaten to accomplish what hardship never could—divide the family for good—Wallis Ann makes a decision that will transform them all in unforeseeable ways . . .